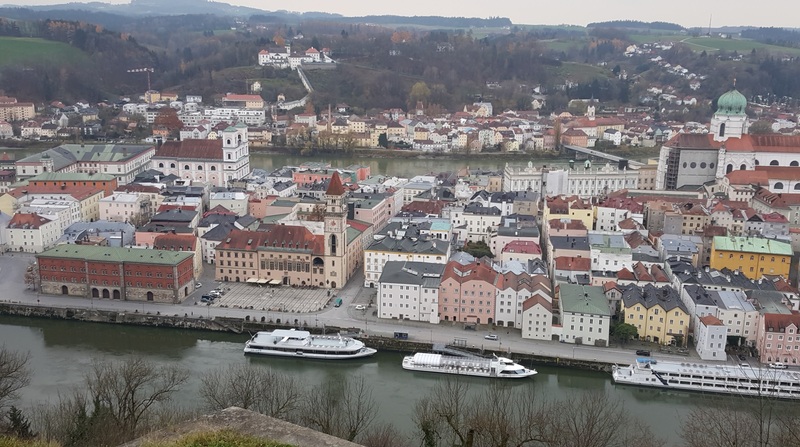 Passau sits on the bank of the Danube where its two tributaries, the Inn River from the south and the Ilz River from the north flow into the Danube. This confluence of the rivers often causes flooding of the city from time to time and the worst was in 1501 as shown on the building wall. Along the river bank is where the old part of the town sits. It used to be the busy merchant’s market exchange center, now it is mostly occupied by artisans. 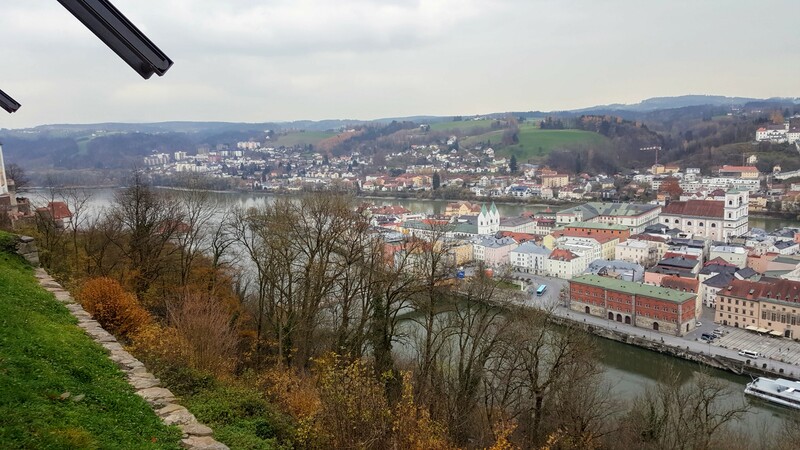 Passau was an old Roman colony until it was granted by the Holy Roman Empire to the Prince-Bishop of Passau along with a territory that included the present-day Vienna up to Hungary with its capital in Passau. The St. Stephen’s Cathedral here was the original mother church of the St Stephen’s Church in Vienna. The original cathedral was destroyed by fire in the 17th century. 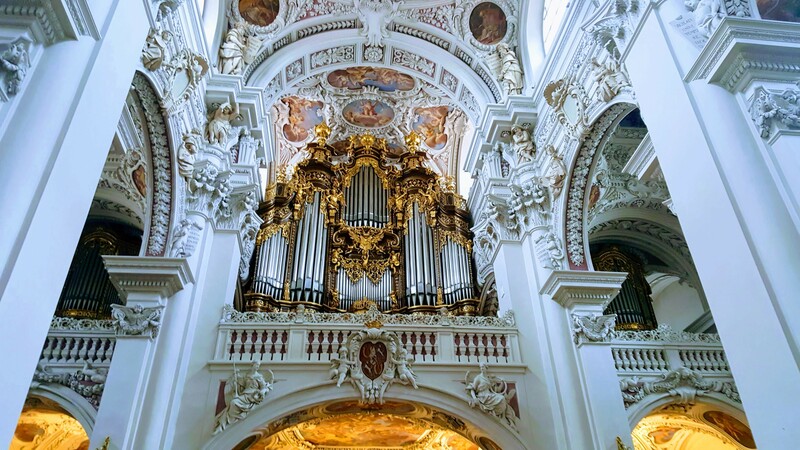 What we see today is the rebuilt of St. Stephen’s Cathedral of the Baroque style. 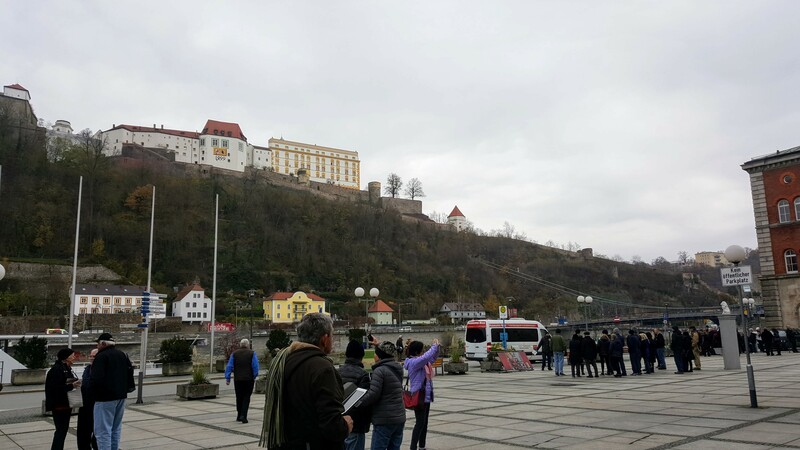 Veste Oberhause is the Oberhause fortress built 1219 by the Bishop of Passau. 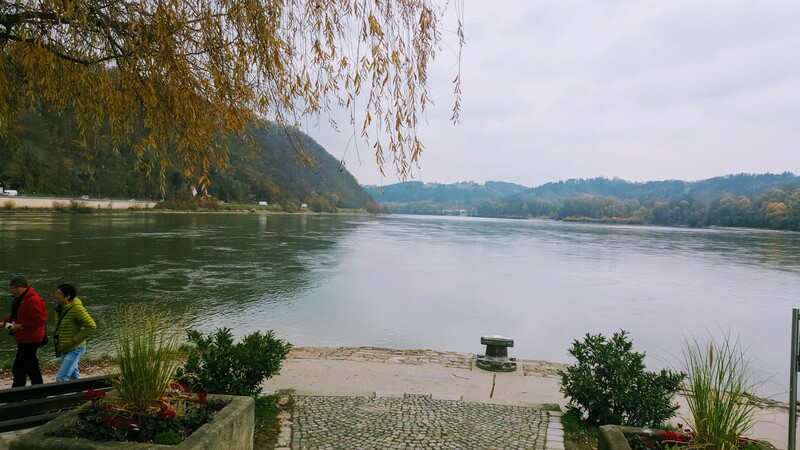 It sits facing the Danube between the Ils and Inn River which puts it in a good position to monitor the goods passing by, therefore it served as a stronghold for the Prince-Bishop to collect tax for his principality. Today it houses a museum, youth hostel, restaurant. The ground had been used for open theater. 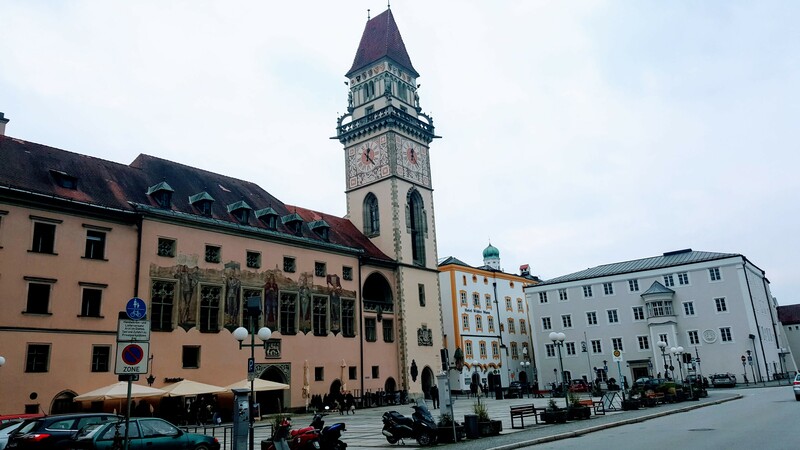 look at the colorful buildings of Passau. It is said the color represents the goods they sell. Such as the pink is for meat products, yellow is for beers and green is for produce.